One of the most important purposes of education is to create critical thinkers. Critical thinkers can connect ideas, answer difficult questions, and make better decisions. In today’s society, there are many influences that shape our thoughts and ideas. Students who master their critical thinking skills will be able to differentiate between which influences will shape their personality and which influences will not. Critical thinking will also help students weigh potential consequences that could determine their role in society. Why do we need critical thinkers? We want our students to make informed decisions. Critical thinkers identify and evaluate evidence in order to make better-informed decisions. There are many benefits to developing critical thinking skills and this is why we need critical thinkers in our classrooms. Critical thinkers are able to make better decisions because they are able to process information in a more precise way. We make hundreds of decisions every day, and most of those decisions are made through our subconscious. Students who are critical thinkers are able to make better-informed decisions quickly because it’s something that is hardwired in. Critical thinking helps us sift through the massive amount of information that enters our brains every day. Most, if not all careers, require critical thinking skills. Critical thinking helps us analyze, store, and process information. Students will be better prepared for their future careers if they have strong critical thinking skills. Critical thinkers are lifelong learners. From birth until death, life is a learning process. When students become lifelong learners, they are accepting the idea that the world is ever changing and the learning process never ceases. For each student, the education and learning experience may be different. Each student comes from a different background, a different family dynamic, with a different outlook on life. As educators, it is our responsibility to accept the task of shaping the minds of children and young adults. On the other hand, students also have a responsibility and commitment in the classroom. We want them to understand that their educational journey is not over when they walk out our doors, but it continues through the rest of their life. Enabling students to discover their talents and abilities is essential to generate a passion for knowledge. How do teachers develop critical thinking skills? Developing critical thinking skills requires educators to take a step back and think about their teaching strategies. In order to develop critical thinking skills, we need to facilitate rather than instruct. This allows students to depend more on each other and less on the teacher. Students should openly discuss their ideas. As teachers, we should facilitate the discussion by guiding students and encouraging them to evaluate their peers’ thoughts and ideas. 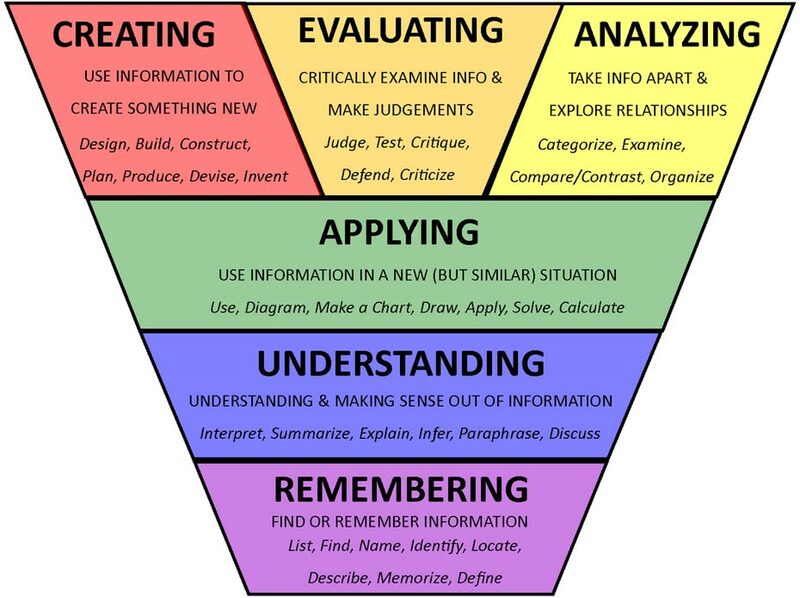 Critical thinking skills can also be developed by answering questions at the top of Bloom’s Taxonomy chart; creating, evaluating, analyzing. 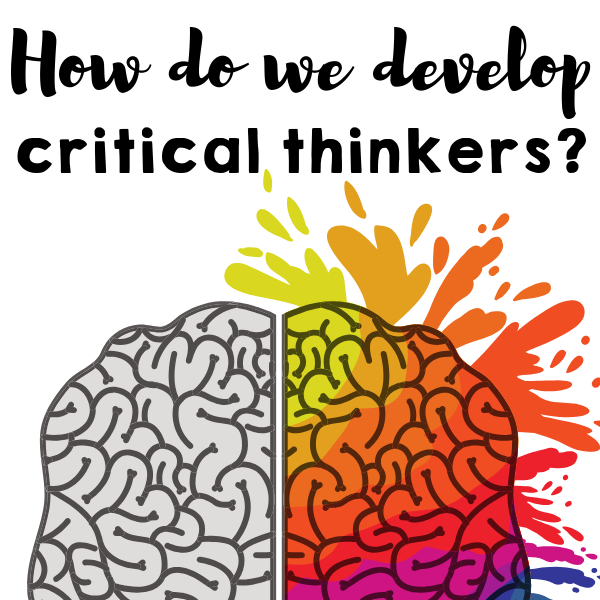 The Basic’s of Critical Thinking is an excellent resource for teachers who would like to work on developing their student’s critical thinking skills. Disclosure: Some of the links below are affiliate links, meaning at no additional cost to you, I will earn a commission if click through and make a purchase. I really enjoyed reading your post! I have always been interested in various teaching methods and this seems a crucial one! Sometimes we forget about critical thinking and the importance to teach our children. Critical thinking is pivotal for their success and future. Thanks for making awareness about this topic. Oh more teachers need to be like you and encourage critical thinking in children. Too often kids are just told to accept the ‘facts’ and ‘theories’ but we need more problem solvers and the only way that happens is to encourage kids to think more . Especially for kids, whose frontal lobes aren’t fully developed yet which can lead to bad decisions for teens. Learning how to think critically is hard, but the rewards for doing so are worth the effort.Good critical thinking promotes such thinking skills, and is very important in the fast-changing workplace. Very interesting topic. The school system still needs a lot of improvement in order to give each student the best education they get. Students should be able to choose what they want to learn and what are passionate about in order the become thinkers. This is an interesting post, I’ve never really thought about how kids can be taught to do things like critical thinking but of course, it makes a lot of sense and it is definitely something that is a useful skill to have. This was great, I had never thought of it like this. Everybody should be able to at least know the basics. Great post. I sometimes wonder why my kids are made to do certain exercises and activities in school, but when you put it like this it makes sense. This is a topic close to my heart and is constantly underestimated especially in today’s climate with the media. Good read. This is a great topic and I think so important right now. Stopping and taking time to process the question and just thinking is key. We are a society of instant gratification so that can be tough. I think this is important to have critical thinkers. A lot of people these days don’t seem to think things through properly. Agreed! My 10 year old son has been fortunate enough to have teachers that focus more on peer collaboration and activities to help spark conversation and different ways of thinking. Good article! We certainly need to develop critical thinking. This article gives great reasons as to why we should. Such a great article! Teaching children to understand and apply is key! I hope that I am doing this with my kids. 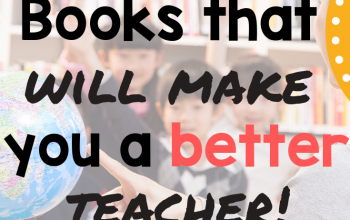 I’m grateful for the teachers that do their part as well! I love this post! Thinking critically is so important!!! It’s so important to think critically! Thank you for this post. These area really interesting ideas especially for students! Its great to enhance their skills at young age. Nice post! This is interesting! You know what? I’m always OC thinking what’s my 2 years old is doing like the way she stacks the way she draws believe me! Everything that a parent should worry about is on my mind every single day and even her future! Honey! I wish she’ll be successful and I know she will. What a wonderful idea! I found some interest in this topic. I hope I apply it for my kids. Fantastic post! I encourage my son to be creative and this is a great reminder to continue to teaching him critical thinking skills. This : Students who master their critical thinking skills will be able to differentiate between which influences will shape their personality and which influences will not..